Home GENERAL NEWS SPORT King David rules…. 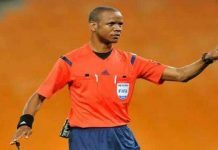 PSALMIST Collins Mbesuma was on song yesterday when he scored one goal and delivered an assist, as Zambia edged hosts Kenya in a 2017 Gabon Africa Cup of Nations Group E rugged encounter. 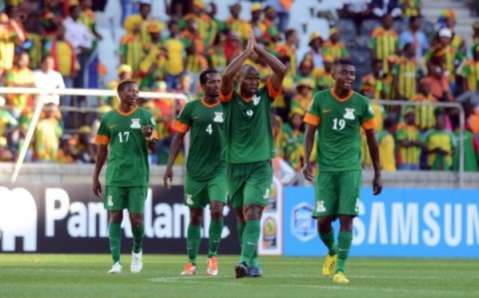 The victory pushed Zambia to four points at par with leaders Congo Brazzaville, who thrashed Guinea Bissau 4-2 on Saturday. The man who calls himself King David laid off for Winston Kalengo’s leveller in the 28th minute before getting a reciprocal pass to net the winner with a truest instinct of a poacher. After difficult early moments from which Zambia conceded from nothing, the Chipolopolo got into the right rhythm and responded with superb football before assuming a dangerous defensive mode the entire second half. A seemingly innocuous searching ball was missed by goalie Kennedy Mweene in a moment of madness with defenders Aaron Katebe and Benedict Chepeshi, gifting striker Michael Olunga with a slightest of chances to give Kenya the deserved lead in the 13th minute. I t was only then that Chipolopolo shifted into front gear with league top scorer Winston Kalengo threatening the goal area while Mbesuma had 2 wild shots. But the former Zambia Marksman who made a name for himself between 2004 – 10 looked rejuvenated. Add his weight and you get the aggregate trouble the Kenyans where faced with. Skipper Rainford Kalaba was an inconspicuous figure early but once he got into his frame, the Kenyans where left back tracking. 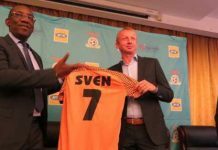 Debutants Jack Chirwa, Benedict Chepeshi and Boyd Mkandawire were not lost although there were moments when they needed lectures from Stopilla Sunzu and Mbesuma. The first call was one to behold, Mbesuma fended off some defenders and released for Kalengo whose first time effort was to cool the ball before blasting it into the left corner in the 28th minute, the thirst and threat were not over. As Kenya mobilised for an assault, Kalaba broke through on the left corner, found Kalengo lurking. The Zesco United striker laid for Mbesuma and there was no mistake from the burly striker. He put his power before the ball which rolled into the net off the upright. He thumped his chest with his forefinger as if proclaiming his comeback. And he is back! “When God has selected you, it doesn’t matter who has rejected you. God’s favour outweighs all opposition. You are a winner.” Mbesuma posted on his Facebook. “It was an important win away from home. We needed a victory more than Kenya because we have been in this business for long. 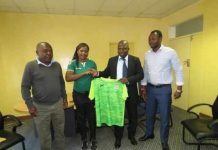 We will take each game as it comes,” Zambia coach George Lwandamina said. 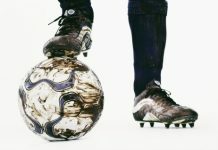 His Kenya counterpart, Bobby Williamson was not disappointed with the result because half of the team he fielded were younger players who could not match Zambia’s experience. Minister of Youth and Sport Vincent Mwale, North-Western Province Minister Dawson Kafwaya, National Sports Council of Zambia chairperson Mwamba Kalenga and High Commissioner to Kenya Brenda Muntemba watched the match at the stadium. 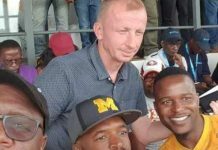 The Chipolopolo did not feel like playing away from home as hundreds of fans led by Zambia Sports Fans Association patron Peter Makembo cheered the team throughout the match. Government chartered a plane to ferry the supporters to Kenya. Chipolopolo will now shift their attention to tomorrow’s international friendly against 2017 AfCON hosts Gabon to be played under floodlights at National Heroes Stadium in Lusaka. 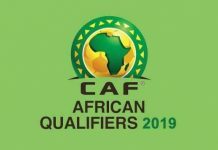 Gabon, as hosts, are exempted from the qualifiers so, the West Africans will use the friendly to prepare for the continental football showpiece.